This casting call is for kids age 3 to age 9. Do you want the chance for your kids to be featured in a commercial series and have fun doing it? 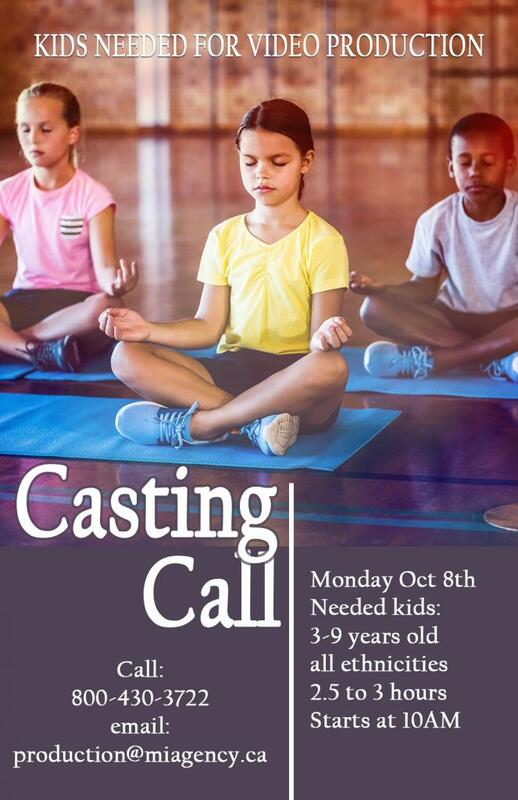 A local company is looking for kids for an upcoming commercial series shoot ! This shoot involves activity and movement. It also includes yoga poses that will be taught for the purpose of the shoot. Participants are to bring their own comfortable clothing, or workout attire. No experience necessary.